Every year, our Seedstars team roams the world to scout for the best startups in the emerging markets. This year they visited 65 countries, 75 cities and organised not less than 85 events in 6 months. Global Seedstars Winner Prize: Awarded by Seedstars: up to $500K investment. BBVA Open Talent Prize: Together with BBVA, we will be sourcing FinTech, AI, Identity and Enterprise Banking startups in over 50 countries around the world to fast-track them for BBVA's Open Talent competition. Africa Energy Prize: We have partnered with Enel Green Power, perhaps the biggest producer of renewable energy, to search for the most innovative company fostering socio-economic development in rural Africa. Health Tech Prize: We have partnered with Merck in order to support startups focusing on healthcare, life science and performance materials, by providing them office space in the Merck Innovation Centers, mentoring, coaching and financial support of up to €50,000. 🇲🇦 Morocco - Hooplacar disrupts the advertising market by letting people wrap their cars with ads, while selling the space to advertisers with a state of the art technology to track the cars and collect major marketing KPIs. With 6500 drivers already registered, and several major campaigns launched, the Moroccan startup is taking the market by storm. 🇹🇭 Thailand -Event Banana is a one-stop service marketplace to connect under-utilized spaces & vendors with people hosting events & meetings. In 2017, they have created >$8,5M-worth business leads to venues and counted >100 venue partners from unique spaces to global brand hotels. 🇨🇿 Czech Republic - SatisMeter reduces churn risk of each customer and accelerates growth by collecting customer's feedbacks and recommending actions to take. SatisMeter detects unhappy customers, finds out why they are unhappy, and helps resolve their problems before they churn. 🇭🇰 Hong Kong - Emotics is a reg-tech company who developed a solution for analysing user engagement with online content, in particular, compliance training, at financial institutions. 🇬🇭 Ghana: AgroCenta is an online sales platform that connects smallholder farmers directly to an online market which has wider geographic size, to sell their commodities. 🇲🇱 Mali: ESenè is an on-board system that collects soil moisture to provide water and fertilizer for crops. 🇲🇨 Indonesia: SayurBox is an online platform providing high-quality fresh products from local farms. In a year, the business grew more than 10x in revenue size and partnered with more than 50 farmers, having now a strong network of farmer communities and local producers. 🇰🇪 Kenya: SolarFreeze is pioneering mobile cold-storage units powered by renewable energy to help rural smallholder African farmers to face the huge challenge of post-harvest loss. Postharvest management is a systems-based challenge and requires an integrated innovation strategy that incorporates technological and financial innovations, capacity building across the value chain, enhanced market access and other elements to achieve impact at scale. Solar Freeze ingeniously tackled this via its innovative "Pay-as-You-Store" system, that allows smallholder farmers to access cold storage at prices they can afford. 🇨🇴 Colombia - Celucambio.com is a platform that allows to exchange, buy or sell used smartphones. In Celucambio.com you can find refurbished smartphone in great condition, with a guarantee and low price. You can also change your smartphone for another one and only pay the difference, the payment is always transferred in 24 to 72 hours. 🇯🇴 Jordan - 3oun is an on-demand mobile application that connects you with vetted handymen around you. 🇮🇷 Iran - Dastaneman is a platform that let customers create and buy personalized storybooks for their children. 🇷🇼 Rwanda - PikiWash is an eco-friendly, time-saving solution for cleaning motorcycles. 🇧🇭 Bahrain - WNNA gives you personalized recommendations curated from different sources with the ability to take actions like ordering food or reserving a table at a restaurant, requesting a ride or even finding the nearest gas station and ATM machine. 🇦🇴 Angola – Tupuca is the first online food delivery platform in Angola. Tupuca already served over 20,000 customers and delivered over 80,000 meals in the first year and created over 75 jobs. 🇦🇷 Argentina - Alquilando is the first Spanish speaking marketplace for long-term rentals in Latin America, that simplifies the rental process, minimizes risk and guarantees rent payments on time. Alquilando disrupts the real estate market as an innovative solution, offering a new trust ecosystem that eliminates bureaucracy, guarantees rental payments on time and allows contract signatures to take place up to 5 times faster. 🇭🇷 Croatia – Dentologix is a marketplace for dental lab services backed up with a custom CRM. Aimed at professionals, Dentologix solves prosthetic production process problems for dislocated teams in a new, innovative way and at the same time acts as a tool to control outsourced dental work for dentists and dental labs. 🇨🇩 DRC - Youdee is an easy and trustful way of finding your ideal real estate property. In many African cities, transactions in the real estate market are informal, and they lack trust. Youdee is a reliable online real estate platform that checks and rates dealers, and offers a tailored catalogue to customers. There are 1.3M households in Youdee's target segments collectively spending an estimated $6.9B per year on rent. Youdee is here to transform real estate transactions into trustful and safe deals. Are you willing to enrich your network with valuable connections, learn, and meet change-makers from all over the world? 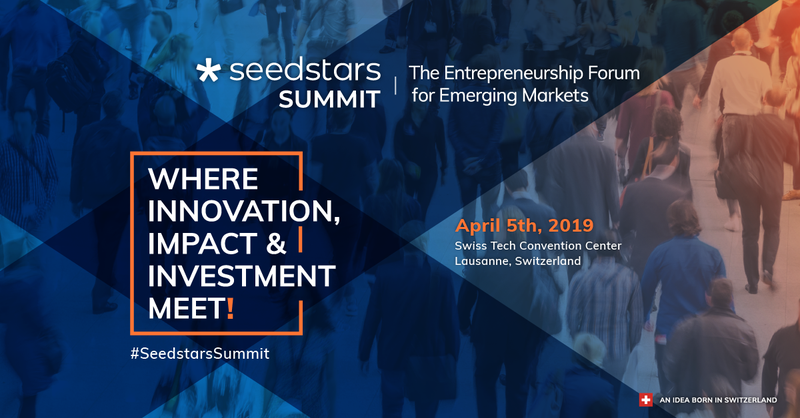 Don't miss your opportunity and get your ticket to the Seedstars Summit happening on the 5th of April 2019, in Lausanne, Switzerland! 🇻🇳 Vietnam - GaraSTEM changes the way Vietnamese children study science and technology by providing creative science and technology syllabus with learning kits to schools. The startup has been working with over 15 schools and the two biggest STEM teaching companies in Ho Chi Minh city. They organized many events with their partners, having reached over 10,000 students in Vietnam. 🇧🇭 Bahrain - Junkbot is a do-it-yourself robotic kit which helps children to make their own robots and gadgets by recycling things around them such as cardboard, old CDs, plastic water bottles, tea or coffee cups, etc. 🇪🇹 Ethiopia -Langbot is a gamified and AI-powered language teaching chatbot. 🇰🇪 Kenya - M-Shule improves learning for every primary student in Africa using artificial intelligence and SMS to deliver personalized, accessible education. 🇮🇳 India - VdoCipher is a one-stop video streaming solution to prevent piracy and ensure smooth delivery of content. 🇲🇲 Myanmar - Kargo is the first trucking marketplace to bridge the gap between thousands of truck owners and emerging businesses. 🇧🇴 Bolivia - Netbits is the virtual manager for SMEs’ daily operations. NetBits allows you to use personalized business reports that fit your needs, and allows you to integrate the necessary modules as your company grows. 🇺🇬 Uganda - Numida issues convenient and unsecured credit to Ugandan small businesses that use its free financial management app. 🇨🇳 China - OCheng's end to end social CRM platform uses AI to send personalized messages to millions of wechat followers, driving engagement and purchase. 🇰🇷 South Korea - Profound connects consultants and industry experts to clients in need of business expertise for spot and project consulting opportunities. 🇯🇲 Jamaica - SameLogic is a video analytics platform that measures emotion and intent. It's the first company to correlate vocal and facial emotions to tell if subjects are being fully honest. 🇲🇳 Mongolia – TataTunga helps companies manage their cost, time and customer satisfaction by providing AI self-learning platforms. 🇱🇧 Lebanon – Vision in Motion has developed a B2B software solution that helps retailers understand their customers by using security cameras and computer vision. 🇺🇦 Ukraine - EVE.calls is an online SaaS platform that helps companies to sell, notify and survey their customers with an intelligent robot. 🇹🇳 Tunisia – Favizone has developed a plug & play personalization solution that enables retailers to deliver recommendations across all channels: e-shop, emails, and messaging app. 🇩🇴 Dominican Republic - Through the use of the latest machine learning and data mining techniques, Madison leverages client's data to democratize insight, allowing SMEs to work with a data scientist without having to pay for one. 🇧🇷 Brazil - Celcoin turns any smartphone into a Utility Payment Terminal for bill payments, recharges, and other services. With Celcoin, anyone with a smartphone can receive +800 utility payments, recharges, games, digital content and transportation services for customers and contacts. Celcoin has no cost, no bureaucracy and no approval process and brings a new revenue stream to its users. 🇨🇮 Cote d’Ivoire – Cinetpay is a mobile money payment gateway that enables e-merchants and merchants to accept mobile money and card payments, online or offline. 🇸🇬 Singapore – FinChat makes messaging (WhatsApp, WeChat) compliant with data retention regulations, so that bankers can reach out to the billions of users of these messaging platforms. 🇸🇳 Senegal: MaTontine provides access to small loans and related financial services like micro-insurance by digitizing traditional savings circles. 🇲🇽 Mexico: Payit is a secure payments platform concentrated on making it easy for people in Mexico (and soon Latin America) to pay all of their day-to-day expenses. 🇹🇷 Turkey – Paym.es is a secure shopping chatbot that helps users sell or purchase items by asking them a series of questions. It is smart (using AI to assist) and channel independent and accepts global payments. As simple as chatting with a friend on Messenger Apps, it spares you an extra app download, since it’s already on your phone. 🇨🇱 Chile - RedCapital is a crowdfunding p2p lending platform through which investors obtain attractive returns at low risk and SMEs get loans at a fair rate. RedCapital has a risk predictor which allowed their investors to have zero default until today. They also have a variety of solutions for SMEs. 🇲🇿 Mozambique – TABECH Serviços will present a service named MovelCare, which uses mobile phones without access to the internet to access funeral insurance. 🇳🇬 Nigeria – Medsaf uses technology to make the process of buying and selling medication easy and efficient for hospitals and pharmacies worldwide. Being the trusted medication platform for Africa, it connects pharmacies and hospitals with safe and cost-effective medications. 🇧🇩 Bangladesh – CMED is an IoT enabled cloud-based preventive healthcare platform that monitors health parameters, predicts health risks, and reduces health costs. 🇨🇲 Cameroon – Gifted Mom democratises health information access in emerging markets through an AI-based remote medical support platform. 🇱🇰 Sri Lanka – Jendo offers preventive cardiovascular healthcare that helps people reliably measure their risk by assessing their endothelial functionality. It can help stop the early deaths from cardiovascular diseases for the middle age people. 🇵🇰 Pakistan – Neurostic rehabilitates amputees by cutting the cost of prosthetics through innovative, local development and manufacturing. 🇧🇼 Botswana: Yapili is a p2pr web platform and Android App offering new opportunities for many Africans to connect to local and western health professionals in an efficient and confidential way. In societies where professional health advice can be expensive or inaccessible due to overcrowded public health facilities, Yapili offers free of charge, anonymous and secure channels to seek medical care in case of pregnancy & family planning, diabetes & hypertension, HIV & sexual health, mental health and lifestyle diseases. 🇦🇲 Armenia – Chessify is revolutionizing the chess community experience by applying state-of-the-art deep learning solutions. They have created an AI-based product that reduces the chess professionals training time by 30% with only $100 monthly fee. All these comes with an unprecedented chessboard scanner and AI-based human style analytical tool. Chessify has created an initial model of the first ever human-style chess engine, which plays with the strength of a middle first rank player. 🇦🇿 Azerbaijan – WakeMeUp has created new and innovative wearable technology, which can save people's life. This wearable device, combined with an application, can help people to stay awake in extreme situations. 🇨🇷 Costa Rica - Difacom designs reconstructive material made out of carbon fiber that aims at replacing non-recycled materials in bikes. 🇷🇺 Russia – Marvelmind Robotics has developed an extremely precise (+-2cm) Indoor “GPS” for autonomous robots, vehicles, copters, VR and humans. 🇰🇼 Kuwait – General Senses is Kuwait’s leader in sensory and experiential technologies, with emphasis on pioneering VR, AR, & natural human interfaces. 🇪🇬 Egypt – WideBOT is the first bot builder platform in the MENA. WideBOT allows anyone to build his/her own intelligent chatbot without any coding in only 10 minutes. 🇰🇿 Kazakhstan – Clockster designed an advanced cloud-based time and attendance system, useful for HR data, based on biometric devices. 🇵🇭 Philippines – ServeHappyJobs helps service businesses with their HR pain points by leveraging smart bots in social media and messaging technologies to reach the 51M Filipinos on Facebook. 🇪🇨 Ecuador - Multidoctores is a chat and telemedicine platform that allows doctors to communicate with their patients while giving accessible consultations to people. 🇲🇩 Moldova – BabyMoon enables parents to clearly communicate the health of their child to doctors and understand how to optimize their parenting. 🇿🇦 South Africa – EMGuidance solves a critical problem for medical professionals by aggregating medical content from regional experts in one app. 🇺🇾 Uruguay - GenLives brings genomic medicine closer to physicians and patients, providing doctors with a platform to support rare diagnosis interpretation & patient care. 🇬🇪 Georgia – RehabGlove has designed an affordable glove that assists patients in post-stroke hand rehabilitation by providing supportive forces and using virtual reality for various psychological therapies. 🇵🇪 Peru - TuRuta connects users to the city transportation services through an app. The app is now connected to 26 public transport lines in real time. Thanks to TuRuta, anyone in Lima has now the ability to know when their buses are coming and save time. This buses are used by around 2 million people every day. 🇿🇼 Zimbabwe – MyRunner enables anyone to purchase bus tickets online and track bus location at all times, making the experience safer and more pleasant. 🇳🇵 Nepal – Tootle offers a low cost, convenient, and secure last mile, point to point ridesharing platform for two-wheelers in Nepal. There is a special emphasis on accessibility for the visibly impaired and safety features for women. 🇹🇿 Tanzania – Nefrids Africa has developed SimuBima, a mobile phone insurance solution. 🇲🇾 Malaysia – PolicyStreet hand-picks, curates, and offer best-in value insurance products to groups. 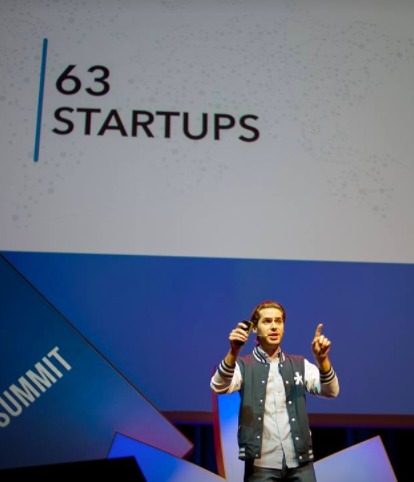 Join the Seedstars Summit 2019, the newest edition of the most dynamic event for tech entrepreneurs from emerging markets! Get your ticket here.